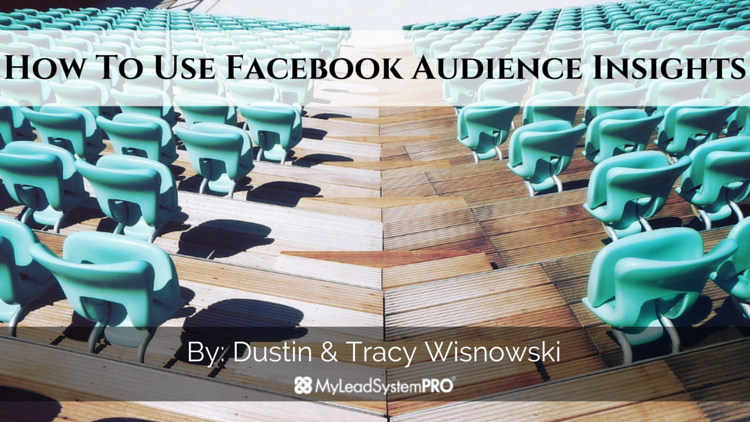 Did you know that Facebook has a very powerful (and FREE) tool that you can use to learn more about the people in your niche (both your own audience and your competitors’)? 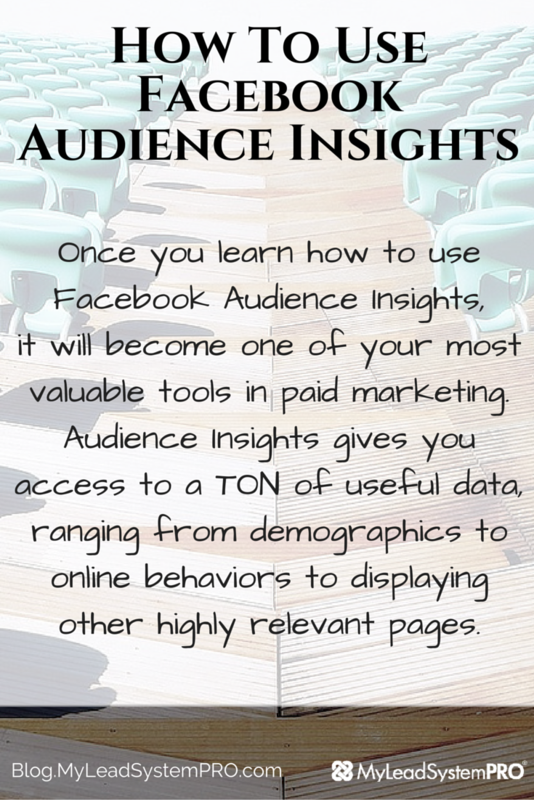 It’s called Audience Insights and it has seriously changed the way we view and use Facebook ads. Once you learn how to use it, it will become one of your most valuable tools in paid marketing. Audience Insights gives you access to a TON of useful data, ranging from demographics to online behaviors to displaying other highly relevant pages. 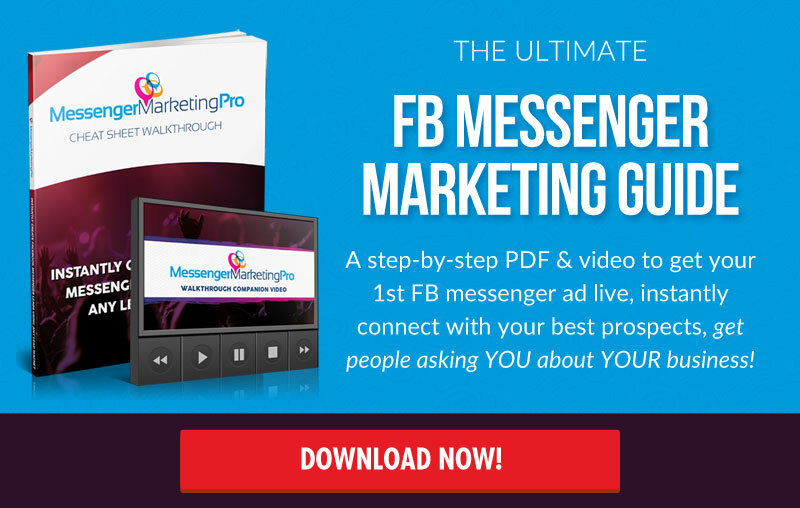 In today’s video and blog post, we wanted to give you a look into FIVE of the ways we use this awesome Facebook tool in our business in order to create ads that convert as well as drive high quality traffic at the lowest costs. Let’s recap the five power Audience Insights features we covered in the video. In this stage, you can learn all about your target audience’s primary age, gender, occupation, lifestyle, relationship status, and education level. This helps paint a VERY VIVID picture of the exact persona of your audience. In a way, you can say it humanizes the data. It helps you start to put a picture and story behind your target audience which is super powerful when crafting ads. If you know your primary audience is comprised of women between the ages of 35-44 who have children, odds are you would speak to them in an entirely different way than you would speak to a retired 65 year old man. Congruent communication is everything when it comes to getting conversions. One of the big reasons people blow through their budget quickly with Facebook ads is simply because they are targeting a highly competitive interest and/or super broad interest. One way to combat this problem is to look at relevant pages that have great engagement, but are more specific to the niche and smaller in size. What we mean by this is you can plug in different interests (keywords) into Audience Insights and then head over to the Page Likes Tab in order to analyze the top similar pages related to your broad interest. Let’s say you promoted a Paleo weight loss product. If you simply put an interest like “Weight Loss” into Audience Insights, you would see that the data pulls many unrelated pages to your specific niche because the keyword is too broad. You wouldn’t want your Paleo ad to end up in front of a person who is interested in losing weight by eating a vegetarian diet. This is why drilling down to more specific and targeted sub-niches can be far more powerful. Another area where some people struggle when getting started with Facebook ads is figuring out what types of content to post both on their page and in ads. What’s great about Audience Insights is that it allows you to see all of the most closely related and popular fan pages to your chosen interest. Once you input your interest into the Audience Insights tool, simply click over to the “Pages” tab and look for relevant fan pages. When you find some, click over and take note of the type of content that is shared. What kinds of posts would your ideal prospect like to see? Image quotes? Blog posts? Videos? Certain topics? How often do they post? By studying successful people and pages in your niche, you will start to gain a deeper understanding about exactly what your audience wants. By clicking on the Activity tab in Audience Insights you are able to now view the different types of actions that your target audience is taking. Do they like a lot of pages? Do they like, comment, and share posts? Do they click on ads? Are they Android or iPhone users? Do they access Facebook mainly through mobile or desktop? This type of information will help you determine things such as if you want to run a PPE ( Post Page Engagement ad) or a website conversion ad. It will also help you determine if it’s best to run a desktop ad, mobile ad, or combination of the two. One of your main objectives when viewing the data from the activity tab is to make sure you are building an audience that is going to respond well to your ads and to make sure your placement is in the best place to get the most views, as well as likes and shares. This is the best part! Once you have optimized your audience to your ideal target, you are then able to save it as a custom audience for a future date or you can create an ad directly after making the audience. Facebook seriously makes it so easy to get your message in front of exactly the right people with such a streamlined process. If you haven’t yet started playing around with this awesome tool and using it to your advantage, now is the time. Have fun with the process and don’t be afraid to do some testing and tweaking until you find a perfect fit for you and your brand! Do you use Audience Insights for your business? If so, leave a comment below with YOUR #1 tip when using it! Watch the video to get an over-the-shoulder look of the five power Audience Insights features and how to use them for your business. Dustin and Tracy you are on the $$$$$$. Thanks so much. Thanks for the great video on Facebook audience insights.. great information. right on Roy, thanks for the comment and we’re glad you enjoyed it!